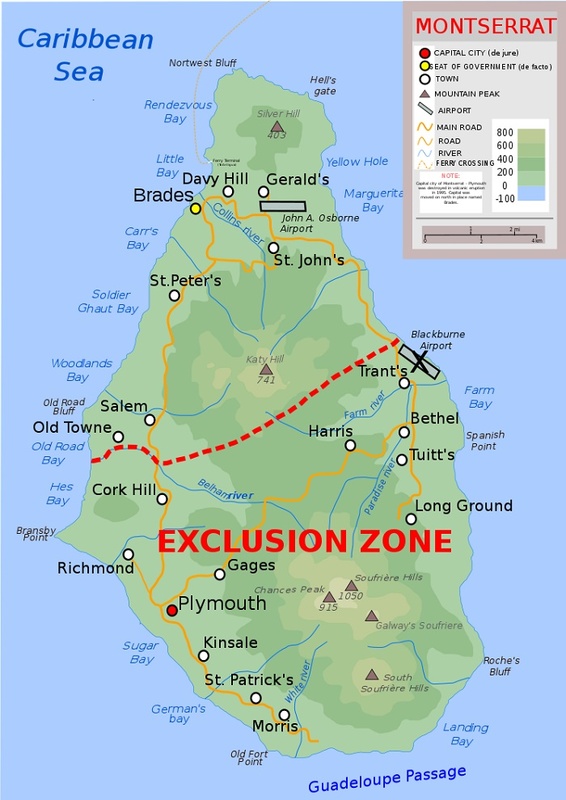 Plymouth is an abandoned city which until 1997 was the capital city of the Caribbean island nation of Montserrat, that is an overseas territory of the United Kingdom. 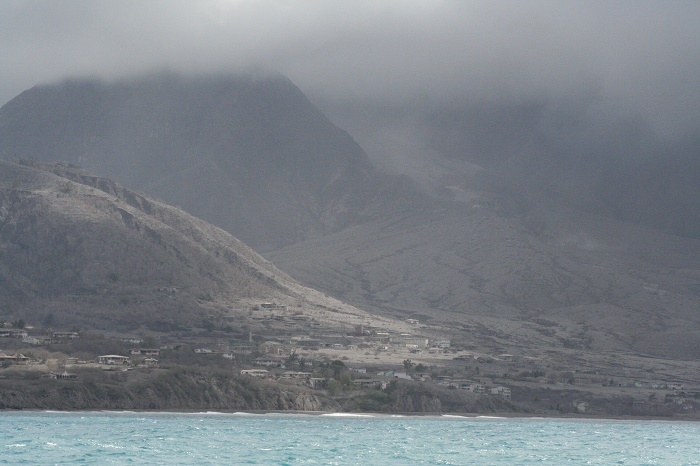 At the beginning when the capital started being built, nobody would even could have imagined that the Soufriere Hills Volcano could one day erupt and destroy half the island. 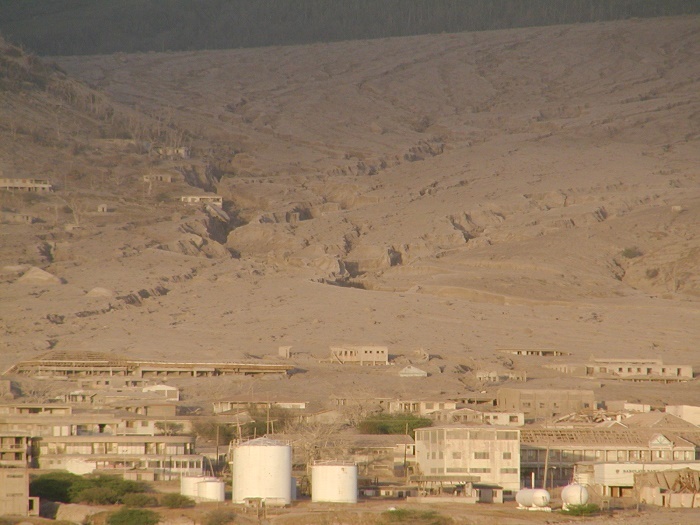 When the Soufriere Hills Volcano erupted in 1995, as a precaution the citizens of the capital were evacuated, and allowed to return a few months later. 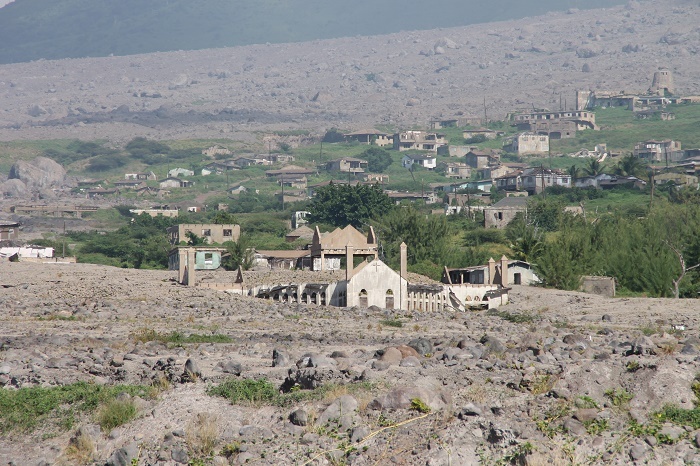 Nonetheless, on 25 June 1997, the volcano erupted once again this time the eruption was bigger and it killed 19 people. Plymouth after this was buried by a series of pyroclastic flows and lahars which made it impossible for the people to continue to live there. Being the busiest hub of the island, and the driver of the island’s economy, it was one enormous hit not just for the island, but also for the people, who were living mostly from the tourism. 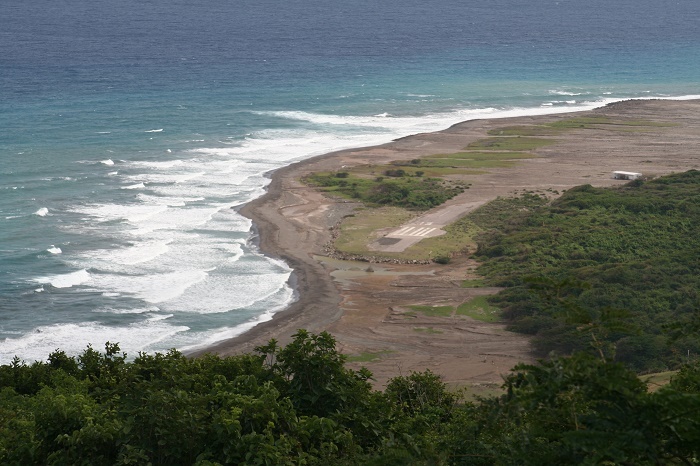 The airport which is located on the eastern part of the island, was almost completely destroyed, however, new airport has been built in the north of the island. 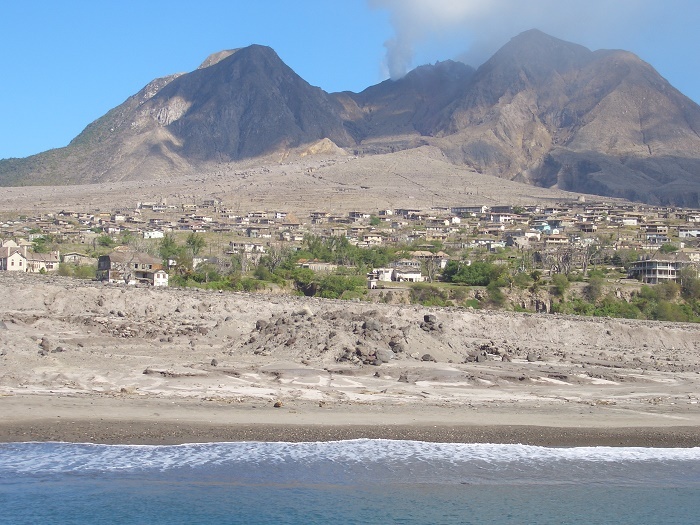 Rebuilding efforts began in earnest, bolstered by an annual contribution from the United Kingdom, yet, the tourism still could not recover from the blow it took from Soufriere Hills. 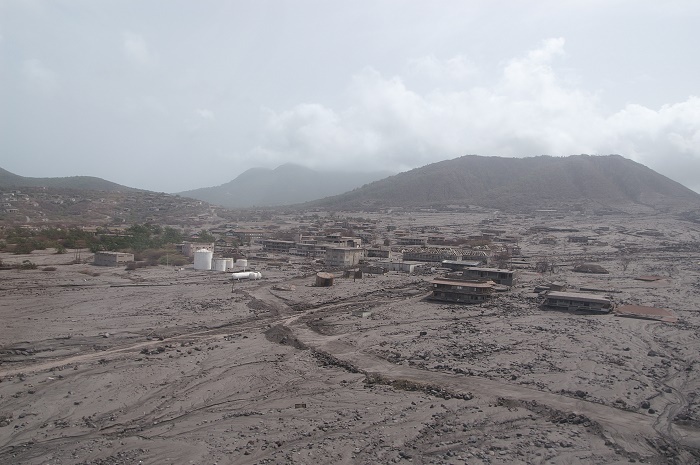 Nowadays, the government of the island has prohibited anyone from entering the area affected by the pyroclastic flows, and even homes which were not affected from the eruption were forced to be abandoned. From the extreme heat from the ash, the plumbing and electrical infrastructure was destroyed, even though the houses were left standing. 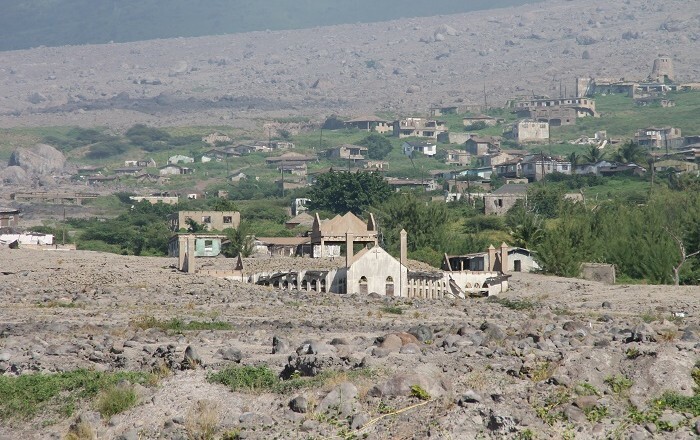 Today they sit empty and are a clear evidence how powerful the eruption has been. Making it impossible for the capital to be rebuilt, the de facto capital at the moment is the village Brades, until the future capital would be built. 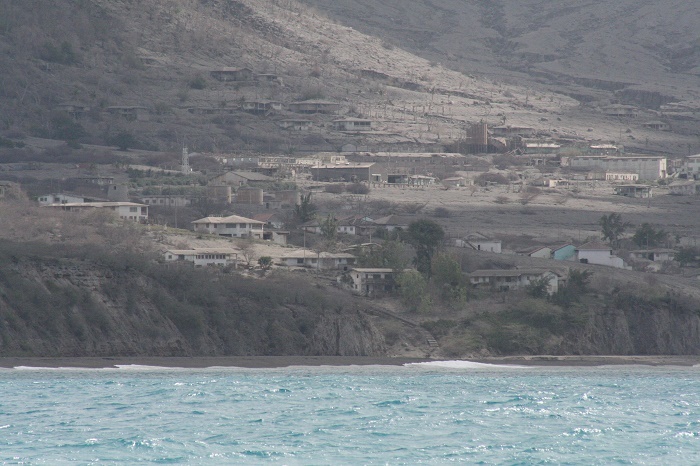 The name of the new city is Little Bay, and it is adjacent to Brades. 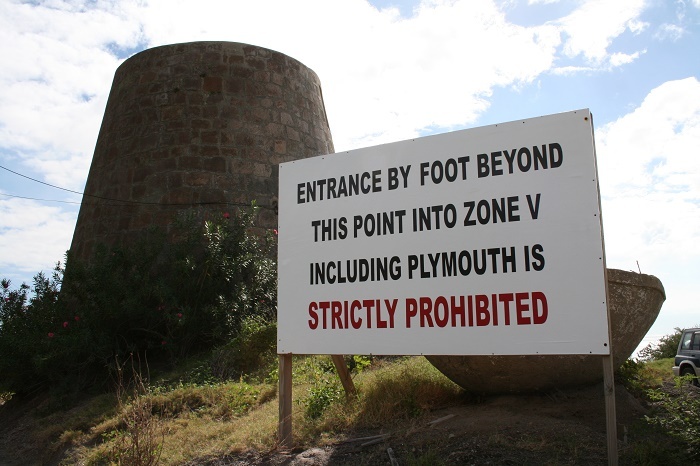 Whether if Plymouth in the future becomes a major tourist spot on the island, remains a mystery since the volcano is still active and could erupt once again.